Week three of The Writer’s Handful features Don McNair, a writer of journalism, fiction, and nonfiction, and a highly respected (and sought after) editor. 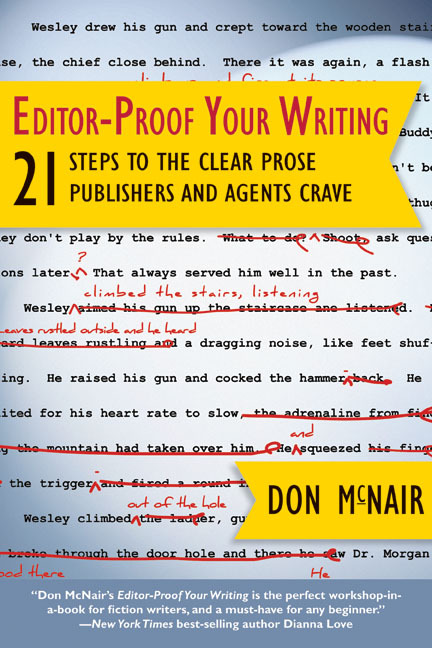 His most recent book is Editor-Proof Your Writing: 21 Steps to the Clear Prose Publishers and Agents Crave. Full disclosure here, Don is my cousin, or second cousin, or cousin once-removed or something; however, I haven’t seen him in decades, but love to be able to share writing news and ideas with him long-distance. In a way, yes. I’m now a full-time freelance fiction editor, and spend four or more hours every day (including weekends) editing for clients. I spent my forty-year career writing for magazines and public relations clients, and it’s hard to get me away from the word processor. My first story was in grade school. The teacher asked us to write something about Mother’s Day, and the next day read my story to the class. A cute little girl came to me afterwards and said, “Donnie, I loved your story.” At that moment I realized I loved writing, and feared cute little girls. I have eclectic reading tastes, varying from cereal boxes to romance to adventure. Now I’m reading “No Easy Day,” by Mark Owen, the true story about the mission that killed Osama Bin Laden. It’s hard to sift the “most important” advice from among the thousands of tidbits I’ve received. But for writing, I suppose it’s the advice to write about what I know. I’ve written ten published books—six novels, four non-fiction—and in most cases that’s what I’ve done. Research is a lot easier that way! Boy, that’s a tough one. I could say “hound dog” because I sniff out the details, “cat” because I’m curious about so many things, or “workhorse” because I plow ahead through a confusing patch of ideas and research problems and usually end up with a smooth, fertile field. Or at least it seems that way to me. The ones who know for sure, of course, are my readers. Don McNair spent his working life editing magazines (eleven years), producing public relations materials for an international PR company (six years), and heading his own marketing communications firm, McNair Marketing Communications (twenty-one years). His creativity has won him three Golden Trumpets for best industrial relations programs from the Publicity Club of Chicago, a certificate of merit award for a quarterly magazine he wrote and produced, and the Public Relations Society of America’s Silver Anvil. The latter is comparable to the Emmy and Oscar in other industries. 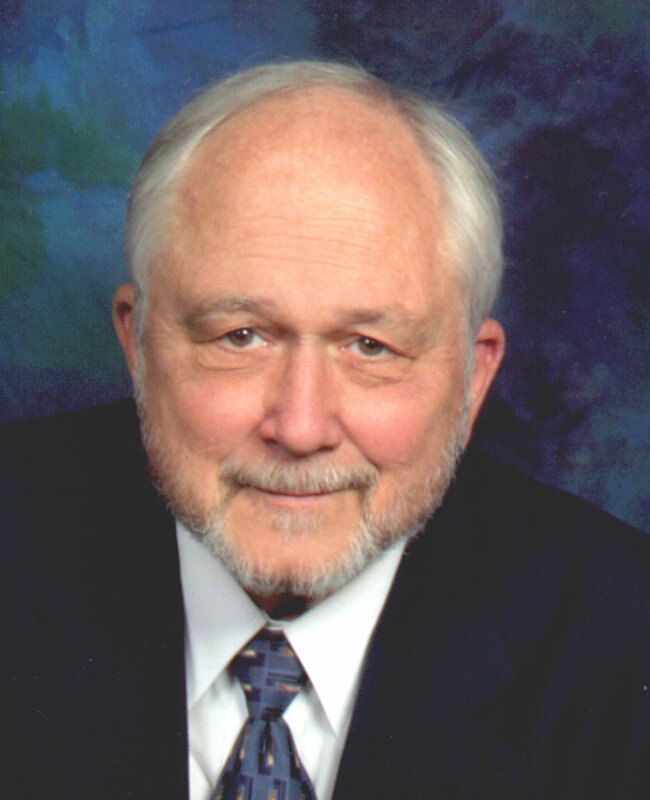 McNair has written and placed hundreds of trade magazine articles and four published non-fiction how-to books. He considers his latest, Editor-Proof Your Writing: 21 Steps to the Clear Prose Publishers and Agents Crave, (published April 1, 2013 by Quill Driver Books) to be the cap of his forty-year writing and editing career. It’s an easy-to-use editing manual that helps writers edit, step by step, their first chapter, then use the knowledge gained to edit the rest of their work. McNair has also written six novels; two young adults (Attack of the Killer Prom Dresses and The Long Hunter), three romantic suspenses (Mystery on Firefly Knob, Mystery at Magnolia Mansion, and co-authored Waiting for Backup! ), and a romantic comedy (BJ, Milo, and the Hairdo from Heck). All are published internationally, and are available at his website, http://DonMcNair.com. McNair, a member of Romance Writers of America, Mystery Writers of America, and the Editorial Freelancers Association, now concentrates on editing novels for others. He teaches two online editing classes. I really love this Monday column. It does make Monday better. Thanks for posting it and being so consistent in posting prompts. It’s inspiring, even when I’m not promt-able. Thanks so much, Joy. Glad you liked the column, and glad, too, that the prompts give you the occasional inspiration! Thanks for reading.